UPDATE: I first published this study in 2007, but Brains on Fire updated the data for me yesterday and you can read it in the Results section. Though by no means cutting edge in the usual sense… scissors and related tools help drive the $30 billion craft and hobby industry (per the Craft & Hobby Association). Fiskars Brands, Inc., a global brand based in Helsinki, Finland, with U.S. headquarters in Madison, WI, was losing sales of craft tools—including its famed specialized scissors—to commoditized, cheaper products available in Wal-Mart and other chain stores. The solution? Create a community of Fiskars supporters who could spread the word that authentic Fiskars products are worth not only their price but also any special effort to obtain them. And target younger consumers, who are more active online. The result? Spectacular! Crafting is a $10 billion dollar industry with everyone from mom-and-pop stores to big-box giants selling a wide range of products. There isn’t a clear leader in this flooded market when it comes to sales, or to making a connection with passionate customers. In recent years, Fiskars Brands found itself losing market share to commoditized, cheaper rivals. It had a traditional website without much creativity, and no way to know who had influence in the crafting community. Its brand audit became a complaint session about consumers’ problems with the brand. Fiskars hired corporate identity consultants Brains on Fire in 2006 to help come up with a new image. Brains on Fire looked for how people socially discuss crafting, how they make their connections and who the influencers are. It set up 150 interviews with members of Yahoo crafting groups and joined conversations about crafting on message boards and other online communities. The agency’s research found a social and robust crafting community—and its age skewed younger than expected. It decided that it needed to create brand ambassadors to help connect Fiskars and the crafting community. After dozens of in-person interviews, it selected four women from various walks of life to become “The Fiskateers.” The ambassadors preside over a blog-based community, and they are paid for 15 hours a week of brand ambassador time. Brains on Fire hired blog researcher Umbria to do data mining in crafts blogs and public forums. It found that, at least online, crafting actually skews young. Previously, Fiskars had been targeting crafters in their 40s to 60s. This information was passed on to the Fiskateers, whose duties included blogging. Fiskateers received three days of training. One part of the day spent on transparency and explaining why they should not be “pimping” Fiskars. The blog exists as a venue for crafters. Fiskateers know that the company values their opinions, and that makes them feel important. The only way to join the Fiskateer community is to be invited by one of the four head Fiskateers. However, since actual crafting is done offline, most of the Fiskateers’ duties involve participation in offline groups called “crops,” where scrapbookers meet to share stories, tips, and techniques while getting some pages done. The crops help Fiskars feel “socially connected” to its customers, Church says. The four lead Fiskateers attend tradeshows and lead classes in scrapbooking at stores in their regions (and beyond). They build relationships with storeowners. They also have online chats with product developers so corporate officials can feel their customer excitement and passion. The Fiskateers’ enthusiasm and dedication to the program is authentic. “This truly is a movement of devoted crafters just wanting to have fun and share their love,” says Stephanie, one of the four Fiskateers. The program is not directed by Fiskars management. “We figured the Fiskateers would be smarter,” Church says. “They do events for Fiskars and are important to the brand.” Fiskateers can engage in conversation and spread the word about the company, taking the onus off management for doing so. Conversations on the Fiskateers blog can lead to big changes. For example, a woman complained about paper (from Fiskars sub-brand Heidi Grace) that had a glitter coating , saying that the paper was curling when she mounted it on a harder stock paper, and also curled up when she left it in her car. It turned out that heat was causing the paper to curl. Heidi Grace changed the manufacture of the paper before a huge amount of it was printed—saving potentially thousands of dollars in printing costs. And when Fiskars introduced a new paper cutter, it learned that the Fiskateer community hated it. The product was promptly redesigned. By listening to its community, Fiskars has gained consumer trust. The Fiskateers program is run by the PR division, not advertising, and reports to the PR director. Branded mentions of Fiskars products are up more than 600% mentioning Fiskars products by name (not including the Fiskateer blog and website, from 400% in 2007) on a per-week basis since the program began. 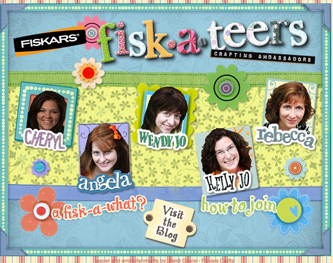 There are now more than 5,000+ (up from 1,200 members in 2007) of the Fiskateers community, and each one is a brand ambassador who spreads the message to other crafters. Sales are up, although Fiskars declines to say by how much. The program successfully de-commoditized Fiskars tools and made crafters value them beyond price. With the Fiskateers is in it’s third year, there are now five lead Fiskateers – one original and four new ones. Two of the former leads are now employees of Fiskars. * Creating a community with an emotional connection to your product is a huge sales advantage, but it can come with a long-term commitment. “If you empower your customers to become your evangelists, you better be prepared to continue it,” says Church. “It’s permanent when you engage in this type of marketing. * Create predefined roles for those who will manage your community. * Realize that you may be surprised at who is really your community. Fiskars had always assumed that its core crafting audience was over 45, but its campaign revealed that many of its consumers were much younger. That information helped it design new products. * Once you have created the community, listen. Fiskars made several changes to its products based on what it discovered through its Fiskateers community. Doing so helped build customer trust and loyalty. SOcial community encourages to start interacting and circulating unused items around locally.Craigslist has become wildly popular for being completely free, using a simple design, and being easy to use. Users all around the United States and also in other countries have helped to build a community where goods and services can be bought or sold, jobs can be listed and discovered, and where people can find out who and what is in their local area. It all boils down to if you know how to manage your prospects then you will be successful. Just think about it like this, you’re panning for gold so you put all your leads into the pan then you systematically shake off all the junk until you find the gold. Thanks for the great info B.L. It’s amazing that the Fiskateers got their start 5 years ago. Even by today’s standard (march 2011) this community would be considered a cutting edge marketing effort existing solely in most business owners dreams. It is too bad that Fiskars didn’t really see what they had with the word-of-mouth advertising. In 2012 they changed the message board, took over all of the duties Brains on Fire had been performing, and moved away from all of the philosophies that made this movement so successful. Many Fiskateers fell away at that time. Some of the loyal, die hard members stuck around. Just when they were almost recovered from all off the mistakes they made in 2012, we were told “exciting changes” were coming. They closed down the message board, as well as the gallery of nearly 90,000 pictures of products we had shared with each other for inspiration. It is all gone. There is now one lead Fiskateer who posts on a blog and a Face Book page. They did this despite the fact that the Fiskateers made it very clear to them that these changes would bee the demise of the program. Which it has. I think they have forgotten that loyalty is a two way street. I would be interested to see how, or if, how they treated the Ambassadors who were true them for six and a half years, makes any difference in their sales. I didn’t know that Marianne! But it’s not surprising. The creative work of agencies all too often ends up being taken over by clients who simply don’t understand the role the agency played. Maybe those of us at agencies don’t tout our skills well enough, or maybe corporate bean counters won’t get it no matter what customers or agencies say.